I don’t usually get personal with my opinion pieces on this site. I believe it’s tacky for writers to put their personal stories into their articles since it makes every issue about them and crafts this almost selfish bubble that alienates the reader. However, I’ll let go of these conceptions for this article because I believe my story is important to what will be discussed. We’re heading into some deep territory here since this concerns, among other things, mental health and the treatment of it. 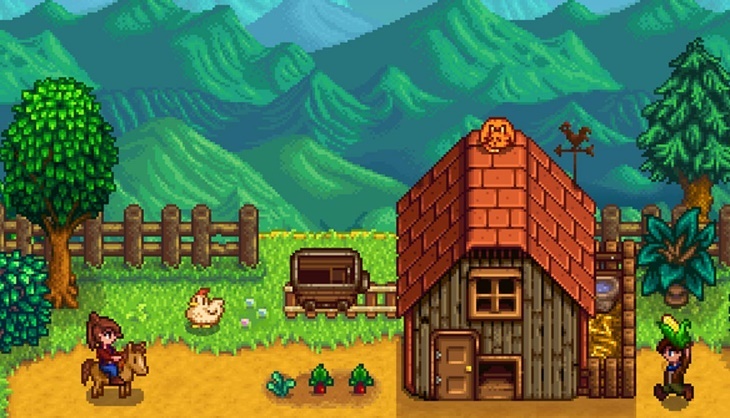 It’s a touchy and complicated subject with no easy way of discussion, but I’m going to be focusing on one particular thing: using games as means of dealing with mental health problems with a focus on how Stardew Valley helped me in particular. I suffer from severe depression. My whole life was spent wallowing in a roaming black hole of misery and gaining no pleasure from doing anything in my life. Not only that, I also have crippling social anxiety that has been debilitating with any form of social interaction and what most people consider easy tasks have been made significantly harder for me. Much of my life was spent denying it, trying to rationalise that it’s my often dire circumstances that are getting me down and that “happiness is something that I need to achieve”. Only very recently have I come to the realisation that my depression and anxiety are biological problems and that my brain was simply not functioning correctly. After what was way too long, I finally decided to get professional help in order to get on the path of healing. I’m on medication at the moment and also planning on going to a professional therapist. The road to get to this point has been a difficult one and for me to get to the decision to get help, I had to go through one of the darkest pits that a person can be stuck in. Even edging close to being hospitalised. However, during my intense struggle with depression, there has been one thing that was paramount in keeping me going: gaming. Often a side-effect of the depression would be me not finding any joy in gaming, but if I had the willpower to play a game, it would be a tremendous help. One particular game helped me the most and that was Stardew Valley. 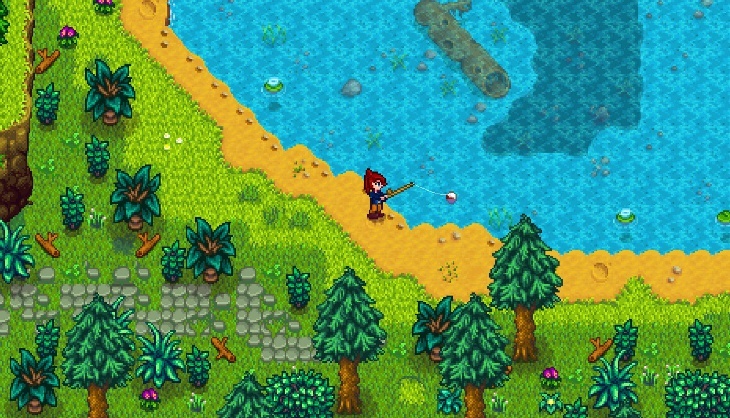 Stardew Valley is a fantastic and charming farming game so brimming with content that you can potentially play it for hundreds of hours. The townsfolk you can interact with each have their own aspirations and stories that you get to experience and the game is centred around creating a wonderful and peaceful life for yourself. The start of the game is actually very indicative of its goals. You are a lowly office worker who is tired of the constant stress of modern living and the ceaseless hustle and bustle. Your grandfather grants you his farm when he passed away and you decide to escape to the quiet life of living off the land. 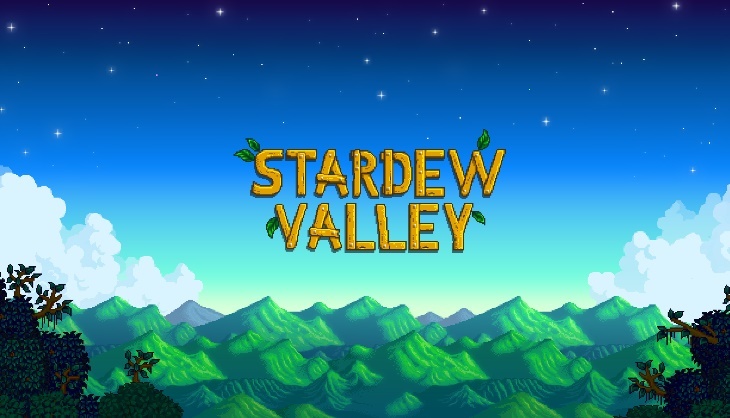 It’s not as much the story and motivations of Stardew Valley that helped me, even if they were important, but rather the gameplay. 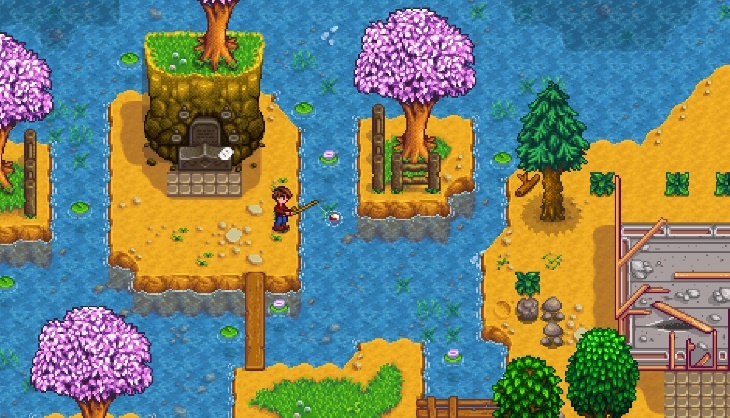 Each day was routine, you’d go out into your farmland and water plants, plant new crops, fix up your house or go exploring in the caves for treasure. A routine. If you are a depressed person, you know how elusive the idea of a routine is. Often we spend the majority of the day asleep or wasting time doing meaningless activities that often involve further destroying ourselves. To get that semblance of normalcy is immensely helpful for a troubled mind. You can immerse yourself into the act of steady progress and planning your days ahead. Which seeds are you going to get, are you going to go fishing, will you visit your crush and give them a gift, will you go exploring the dangerous caves and have to plan for provisions and so on. You can capture a sense of a normal existence while being distracted from your own war inside of your mind. 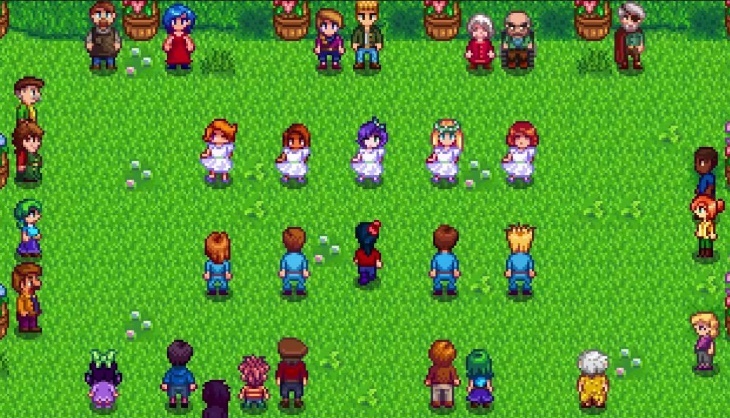 So I would play Stardew Valley for hours and put myself into the shoes of my character and just go about a normal and relaxing farm life. Obviously, it wasn’t a cure for the raging miasma that was going on in my brain, but it did help as a coping mechanism. A way to stave off the more self-destructive tendencies that come along with depression. I wouldn’t spend my evenings wallowing away in a sea of self-pity and intense internal hatred, I’d listen to a soothing soundtrack and grow some tomatoes. An escape from the choke hold that this mental illness has on me. This all got me thinking, I’ve used games as my coping mechanism all of my life and it’s possibly the prime reason why I’m such a huge gamer and working on this very site. When my depression got to me, rather than do any significant self-injury to myself or become worse, I’d fire up a game and become immersed within a fictional world. 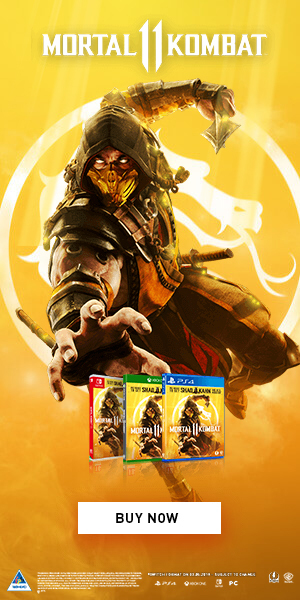 Whether it be a simple FPS game or a massive epic that would take me hundreds of hours to complete. Many depressed people have this same avenue, even if the main difference is the medium in which they do it. Some read books, others watch films, some write and some watch a load of series. It’s a method of distracting yourself from the darkness, even though it is still just a distraction. However, I believe gaming has something more than other more sedentary forms of entertainment have. Since gaming involves that the participant be actively involved in what they are doing, the potential for mental stimulation goes up. Conquering challenges or completing goals gives the brain a jolt of dopamine and stimulates some pleasure senses in the brain. I have first-hand experience with this where I was obsessed with collecting trophies and achievement because they gave me that sense of gratification that my brain was otherwise not able to provide me. The same happened in Stardew Valley where the game gave often small and menial tasks for you to complete and achieve, with a particular spotlight on the community centre that required you to collect various items in the world. Tiny tasks, but in a high volume so that the sense of gratification can be sustained. Many games contain the same factors that I mentioned. A lot of gamers, including myself, enjoy the act of grinding in an MMO or RPG because they get rewarded for their effort and the process is made valuable from the fact that you will receive those rewards. Objective completion is at the basis of many games so it can be valuable for someone struggling with mental health problems. We also have to consider the effects of social gaming when it comes to handling depression. One of the best methods of dealing with the illness is to talk to someone about it. When you’re in a lobby with a bunch of close friends, the chance that you will bring up your problems are significantly higher. Among the salt covered background of Overwatch or the endless grind of World of Warcraft, you can find some comfort in others. I did this a few years ago when my friends and I would regularly sit in an Xbox Live party chat and talk about all the qualms of our lives. Seeking reassurance or just someone to lend an ear can be infinitely valuable and be a form of therapy on its own. It’s obviously not as effective as talking with a professional, but just having some form of social interaction is very important. I honestly believe that many of us use games as a kind of therapy. People like myself can use it as a coping mechanism for a debilitating mental illness while others use it to escape from the stress of everyday living. The world is a stressful place full of anxiety and to come home to sit on a comfortable chair and indulge in fantastical worlds can be exactly what we need. A simulated escape from the absolute chaos. I found solace in a 2D farming game, where I found the normalcy that I so passionately desire. Others may find it in an online shooter being played with a bunch of friends or in the incredible stories that gaming can tell. There is something for everyone and gaming has become a way for us to not only have fun but cope with our messed up lives. For that, I will be forever grateful that I picked up a controller in my life. Just to close off, mental illness is one of the most ignored health problems in the world. There is a stigma attached to it and people, like myself, brush off the symptoms as not important and “everyone goes through this”. Please, if you are struggling, go seek professional help. 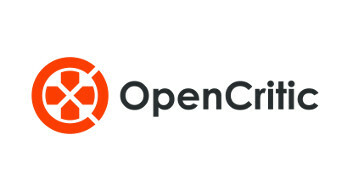 There are many resources online and doctors are always available to hear your problems. It might be hard, but it will be worth the struggle and it will put you on a road to healing. I took way too long to get the help that I so desperately needed and I regret it immensely. The earlier the better when it comes to mental health, remember that. 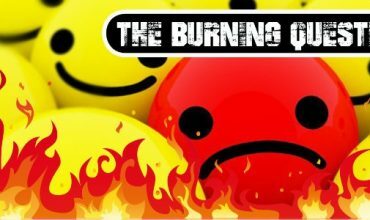 The Burning Question: Are you the audience developers have in mind?